As January closes and February is fresh before us the Memory Planners are telling us their stories. One aspect of my Memory Planner and how I have put it to use through the years is as a tool of reflection. Probably even more so than my daily writings in my journal. The planner with all it’s open pages provides for me important highlights on each month. 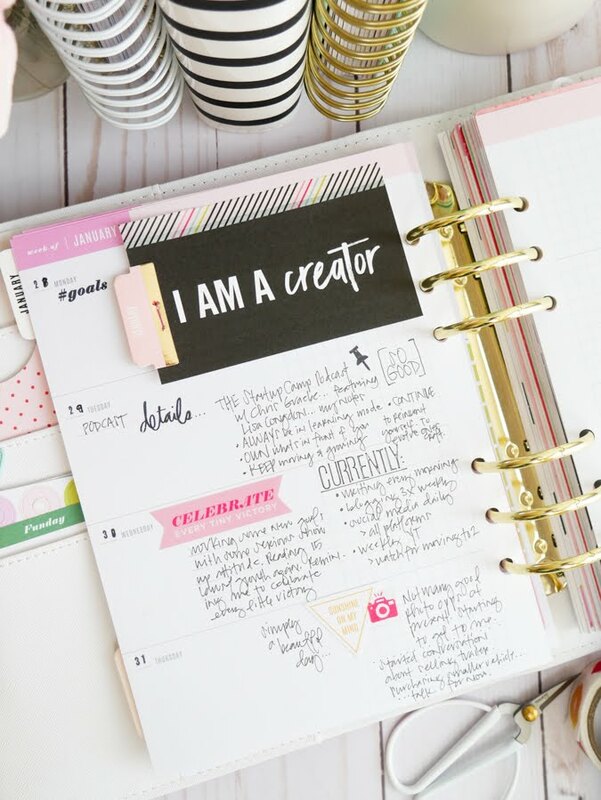 As I reflect on my planner being a reflection tool, I wanted to explore how exactly my planner provided that for me. I mean, yes, sure…I totally get the embellished and styled page aspect. I am all on board making my planner aesthetically pleasing and looking on trend. That’s just part of who I am and how I go about a lot of things. 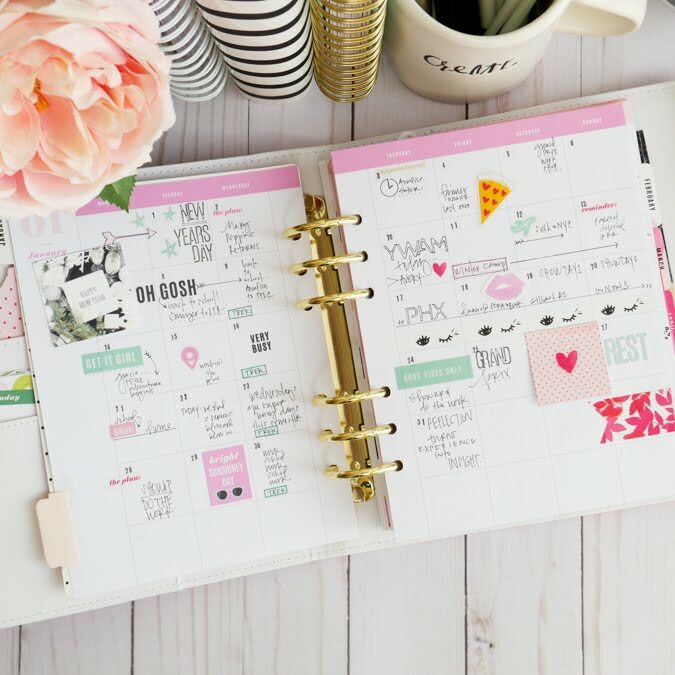 I can’t help but have on hand the latest planner and the freshest accessories. 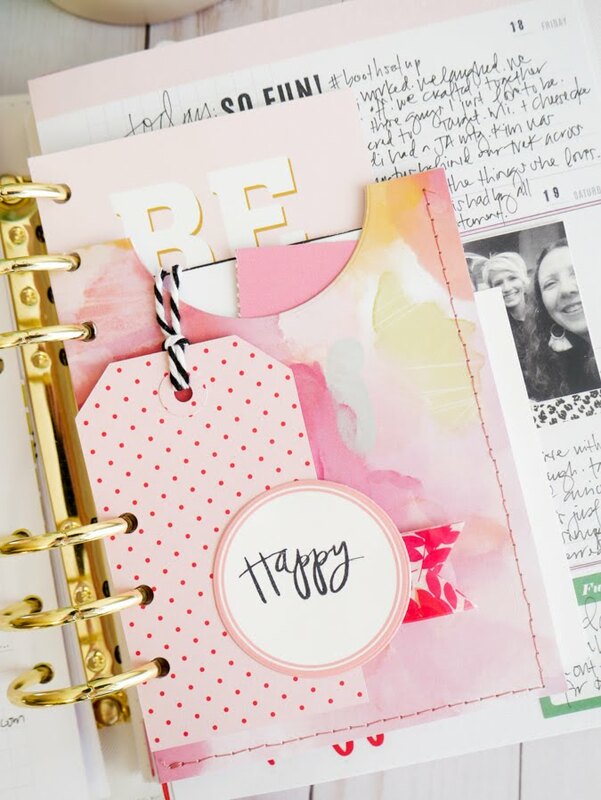 Especially being on the Heidi Swapp Media Team, there is a natural inclination (as well as plenty of inspiration from other members of the team) to make the pages of my Memory Planner memorable. But upon further introspection I have come upon a couple more reasons why my planner is a reflection tool. I utilize photos on my pages fairly consistently. Just little 2x2-inch photos that fit perfectly into a day’s space. I finally simplified the process of getting these photos printed with the use of a couple of apps on my phone. Then sending them to my (old) Selphy printer. This has really sped up the process for me (especially when I am playing catch up, she says with a cringe). Photos on my pages are one of the strongest reflection aspects. The saying is older than our planners “a picture is worth a thousand words”. And it’s true! Images of our people or a landscape or an activity immediately bring us right back to the emotion of that moment. And that is a most powerful reflection on our life. Planners are holders of photo glimpses into the right now. 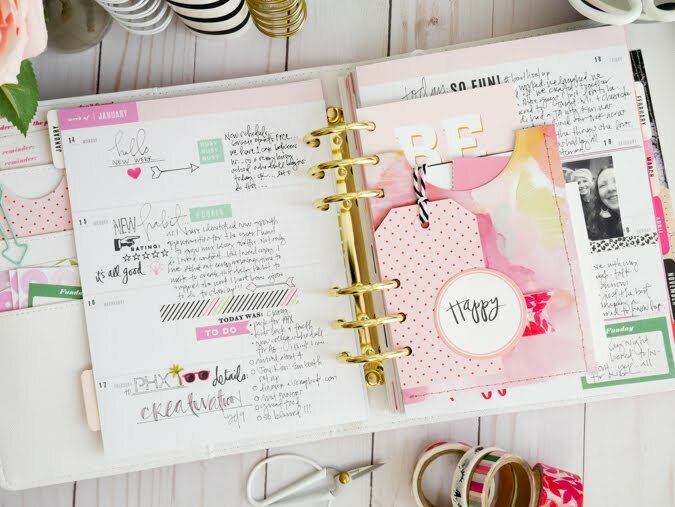 A planner is just so different than a scrapbook. 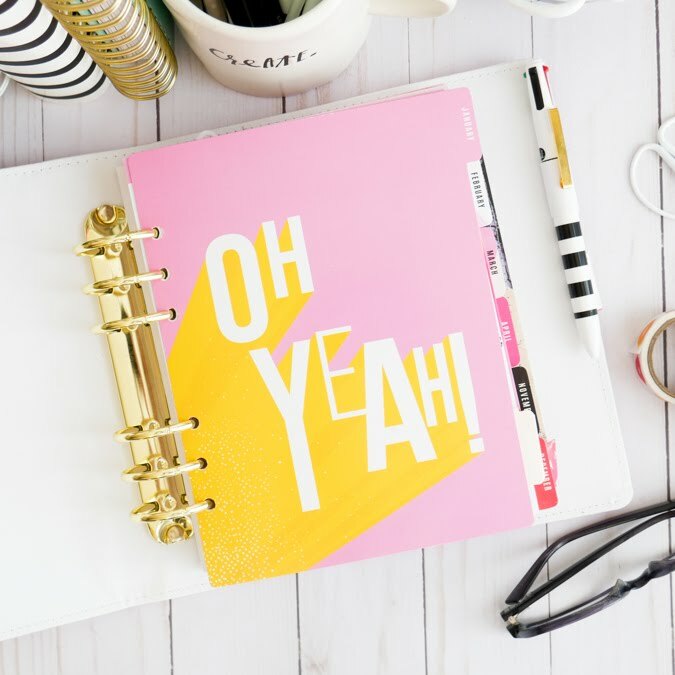 Now don’t get me wrong, There are those of you reading who have opted out of traditional scrapbooking for planner-booking or travelers notebook memory albums. AND THAT’S OK. There is no judging here. AT ALL EVER!!! (Just had to get that out there). But for me, my planner is actually a companion to my scrapbooks. The way my memory planner works for me is just that…it’s for me. It’s much more personal than my larger scrapbook albums. Maybe even just so by virtue of the size? Perhaps? Let’s just put this out there…my kids do not pull my old planners down and splay them out on the floor for a perusal fest. I’ve never seen that happen. But they DO do that with my scrapbooks. So planners are much more personal and just for me. It’s compact. It is almost always out and open on one of my work tables. It’s inviting by virtue of it’s style and trend factors. And every time I open to previously completed pages, it always provides for me a sense of satisfaction that I took the time, I wrote the words, and I printed the photos. 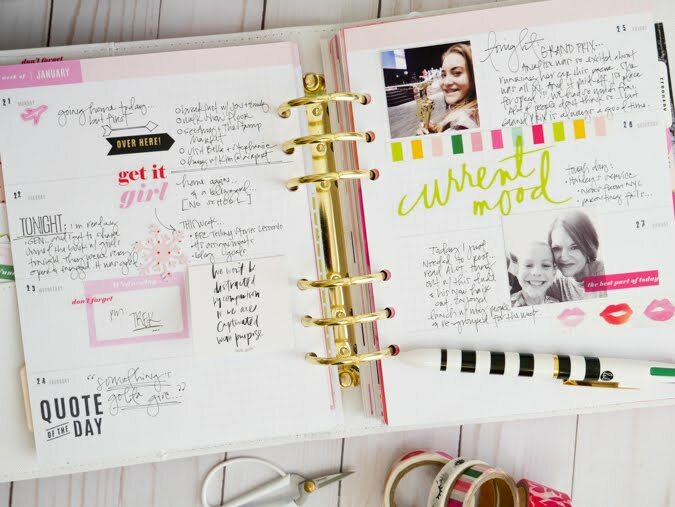 As Heidi Swapp once explained, a planner provides scrapbooking in real time. 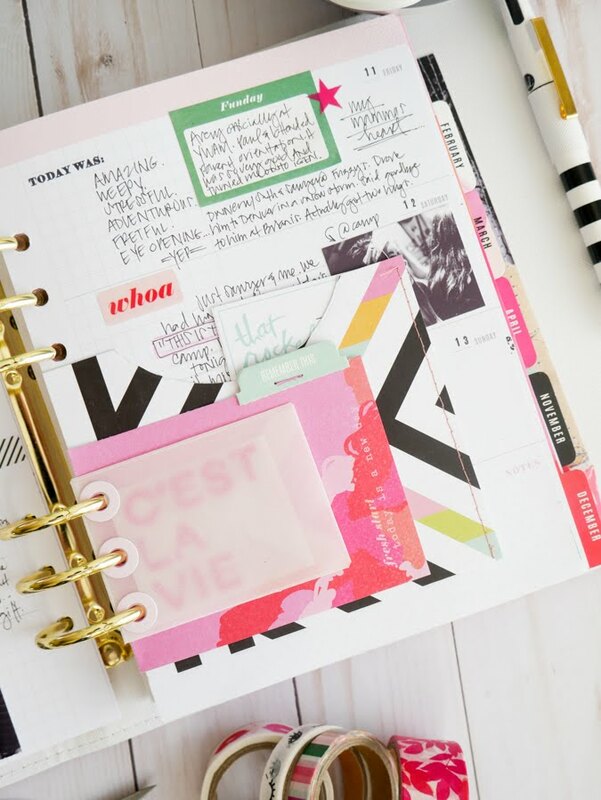 Planners are a sort of instant satisfying way to memory keeping. Photos are a sure way to reflection. 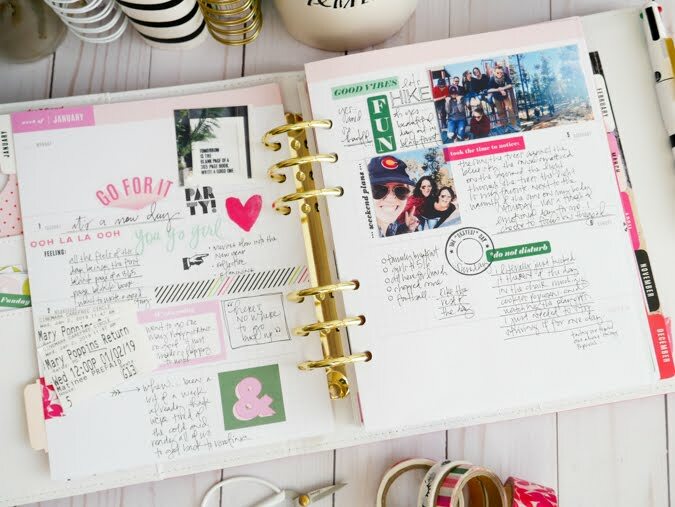 My memory planner is a companion to my scrapbook library. And they instantly satisfy this memory keepers need to slow the blur. Those are just a few ways my Memory Planner plays a reflective role in my life. 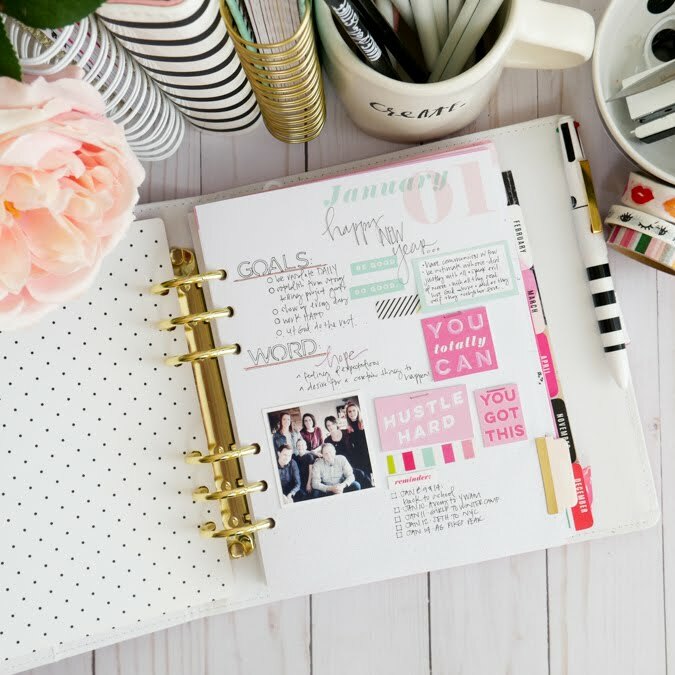 I would love to hear what your planner means to you. Please feel free to comment.